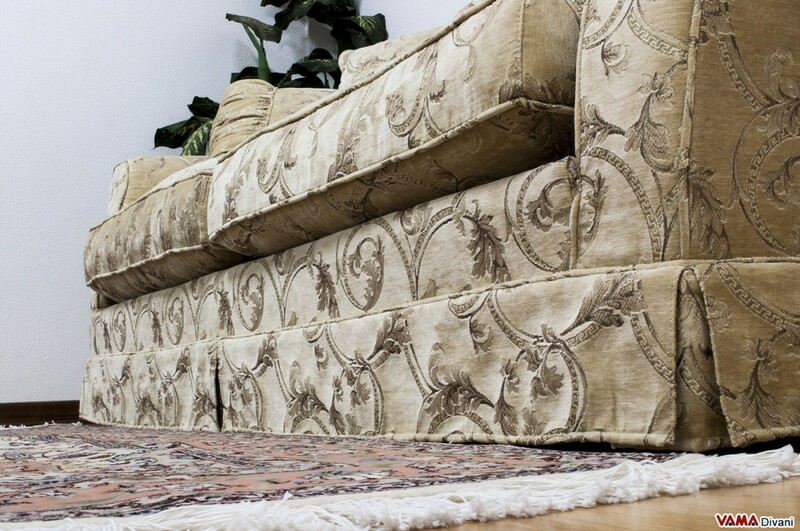 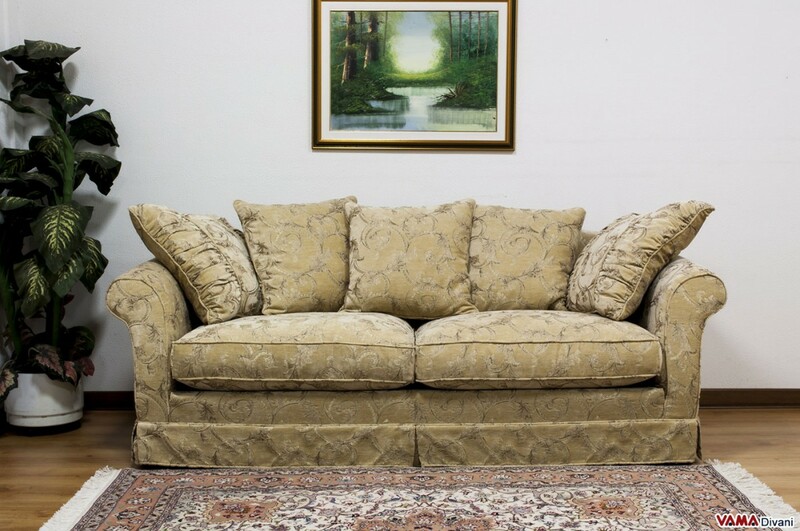 Stylish and classic fabric sofa, a refined and elegant model perfect for traditional or Vintage living rooms. 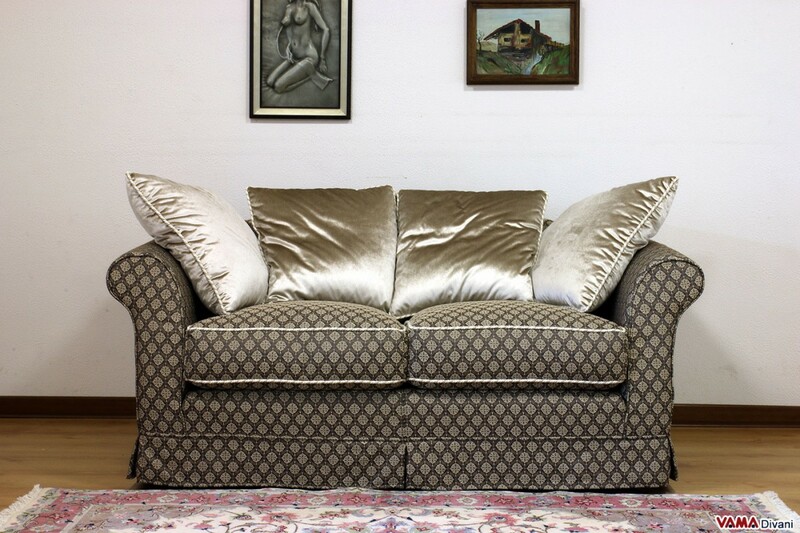 Rich in interesting details, such as the smooth skirt that covers its feet, the Ville sofa presents a series of soft cushions on its back, two of which finely stitched so as to curl the fabric itself. 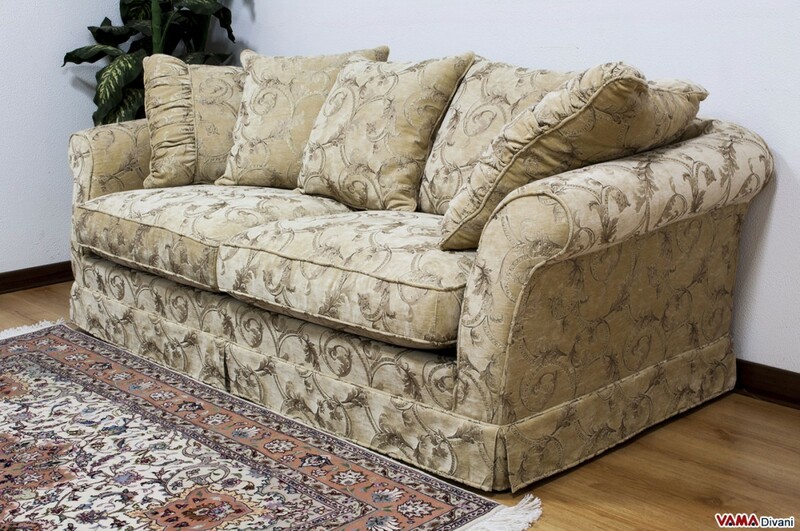 This classic fabric sofa features a soft and comfortable upholstery, and may be customised in any size. 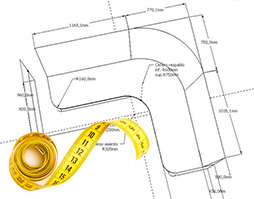 Feel free to contact us for other sizes and prices. 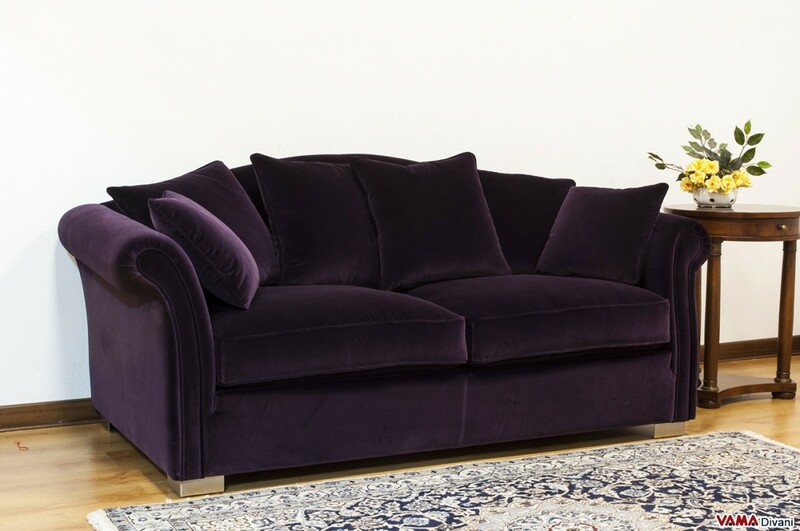 The beautiful and classic Ville sofa presents a fine and elegant design, perfect for traditionally furnished environments and which conquers even the most demanding experts of Interior Design. 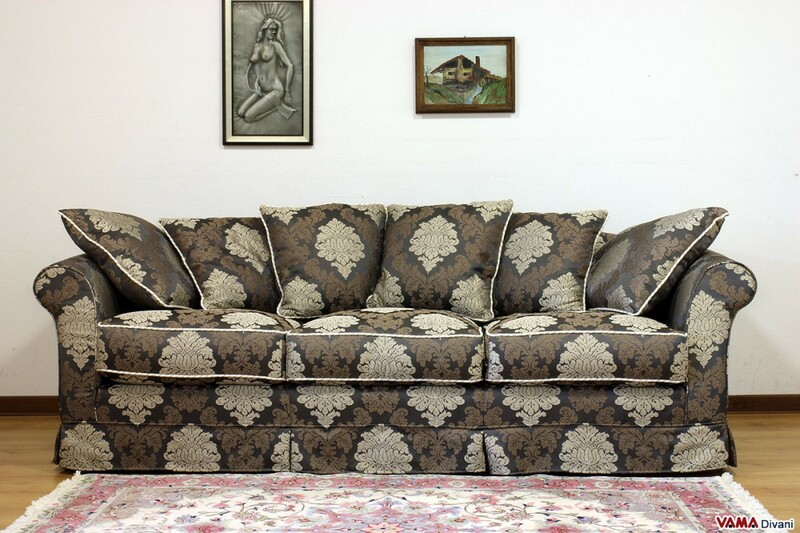 This fabric sofa is characterised by a typically classical frame, embellished with interesting details such as the smooth skirt covering its feet, while its back is made up of large and fluffy cushions; the two side cushions, however, are elegantly stitched to nicely curl the fabric itself. 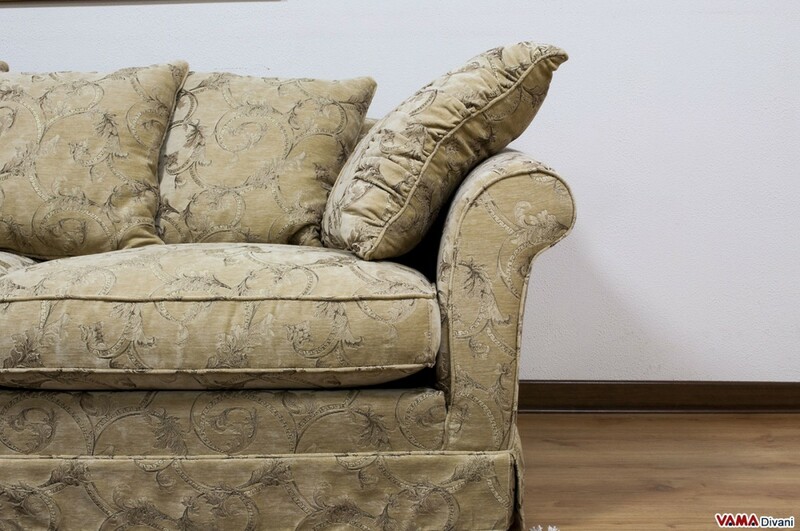 Ville is also a very comfortable sofa: the seat cushions, in fact, are padded with fine materials such as goose down and synthetic fibres, and also have a valuable inner core made of polyurethane. 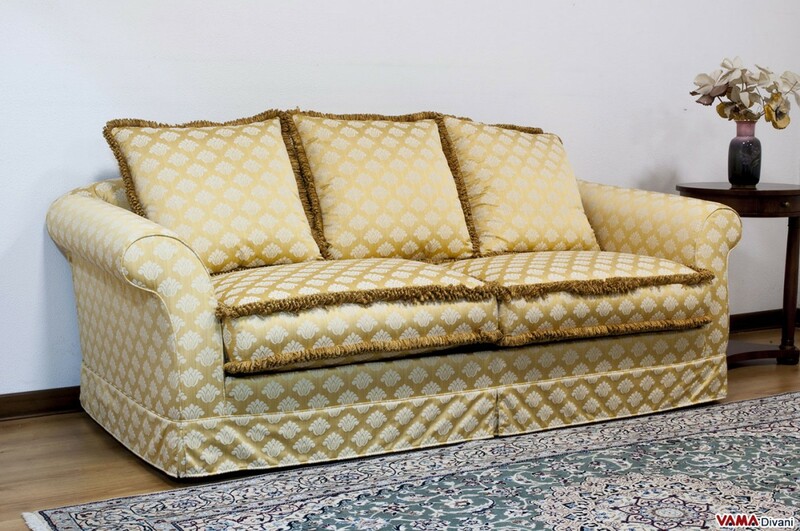 This elegant sofa can be realised in any custom size, as all our products are handmade sofas realised by our Italian craftsmen, in Tuscany.